The Diocese of Fall River hosted the Sept. 27 event. Religious life belongs unquestionably to the life and holiness of the Church, although it is a “charismatic” rather than a “structural” element; one could even say it is an essential expression of that holiness. It is a gift by which God the Father through the Holy Spirit animates and refreshes the Church with an outpouring of grace that calls forth communities distinguished by their courageous faith, steadfast hope, and passionate love for Jesus Christ and the world he came to save. Consecrated religious have a place in the heart of the Church because, by leaving all to follow Christ, they announce with their whole lives that God has made us for himself and our hearts are restless until they rest in him. We who accept the vocation to religious life make profession of the poverty, chastity, and obedience of Jesus Christ “freely, willingly, and purely for the love of God.” In fact, our freedom must be assured; our vows are invalid if we have been subject to any alien pressure. We ask to be admitted to public vows in response to a deep personal experience of being loved and chosen, and in the light of a strong attraction to the charism of a particular institute. This impulse to “sell everything” to buy the field in which we have found the “treasure” (Matthew 13:44) is from the Holy Spirit. If our request is accepted, we commit ourselves to observe the evangelical counsels, to live in community, and to carry out a particular mission in the name of the Church — according to the charism and constitution of our institute. Because our witness arises from a free personal gift of self, lived according to a way of holiness approved by the Church, it possesses moral authority — the kind of authority, in fact, that is indispensable for transmitting the faith and accomplishing the Church’s mission. We are here to reflect on our vocation. Most of us are aware that all is not well, that something has been lost and must be reclaimed. What is this “treasure” that needs to be reclaimed? The problem is not only that so few are joining our ranks. It is that the current polarization and division in the Church at large is found among us as well. It exists in the uneasy and even fractured relationships among our apostolic institutes, within many of our institutes, and — for many — in the relationships of religious with the diocesan clergy, the bishops, and the Holy See. The reality of this polarization is more than regrettable; it is a cause of scandal, a counter-sign. Our way of life was born from the ardent desire to reproduce the apostolic ideal in which “the company of those who believed was of one heart and one soul,…had everything in common, [and] devoted themselves to the apostles’ teaching and fellowship, to the breaking of the bread and the prayers” (Acts 4:35; 2:42). New communities of apostolic men and women religious seem able to offer this witness. They are attracting vocations, and for this we can all rejoice. Some traditional institutes that made few changes or made them very gradually, and some of the younger institutes that had fewer changes to make, are likewise still welcoming new members. But many communities that were flourishing before the Council are now floundering and dying, despite the evident good will and generosity of most individual religious. We experience a decline in numbers and a rise in median age but also a malaise, an uncertainty about the future. Many are stymied by indecision. They may soldier on, hoping and praying for new members, but they are unable, or perhaps simply afraid to evaluate how their own choices and attitudes affect their situation. Some long to “reclaim the treasure,” but meet with inertia or resistance from other members of their institutes and cannot get enough traction to initiate a change of direction. Others are convinced that apostolic religious life as we have known it not only will die, but that it deserves to die. They anticipate a future on the margins of the “institutional Church.” Some are “sojourners,” already so far out on the “margins” that they expect to leave Jesus Christ and his Church behind for the sake of a new, universal spirituality. Are apostolic women and men religious doomed to remain divided into factions — liberals and conservatives, women and men, ordained and non-ordained, Leadership Conference of Women Religious and Conference of Major Superiors of Women Religious? Is this the best we can do? Is this pleasing to God? The Second Vatican Council challenged us to clarify the nature of our vocation as religious in light of the “universal call to holiness” addressed to all the baptized; to adapt our manner of living, praying, working and governing ourselves to meet the apostolic needs of our day; and to expand our apostolic concerns in view of the Church’s teaching on social justice. How have these three challenges affected our self-understanding as apostolic religious, our community life, and our ability to bear corporate witness? The Council’s teaching on the universal call to holiness held an indirect challenge for apostolic religious. If all fully initiated Christians are called, by reason of their Baptism, to imitate Jesus, poor, chaste, and obedient, and to strive for the perfection of charity according to their state of life, what is special about religious life? Some apostolic religious, troubled by this, imagined that the emphasis on the universal call to holiness diminished the value of their own vocation. They asked: If perfection can be attained in other ways of life, why make the sacrifices called for by the vows? Many others embraced the new emphasis. They gladly announced their solidarity with the laity and renounced any vestiges of privilege, deliberately distancing themselves from whatever might signify “elitism” or imply the “superiority” of the religious vocation. In their desire to repudiate “elitism,” however, some abandoned not only the privileges they now disdained but also some of the ascetical disciplines and devotional practices that gave public witness to their quest for holiness of life. The effort to avoid “elitism,” in fact, led some women and men religious to make adaptations that have obscured their identity as publicly consecrated, ecclesial persons, and sometimes scandalized the laity. [A]ll those reborn in Christ are called to live out, with the strength which is the Spirit’s gift, the chastity appropriate to their state of life, obedience to God and to the Church, and a reasonable detachment from material possessions: for all are called to holiness, which consists in the perfection of love. But Baptism in itself does not include the call to celibacy or virginity, the renunciation of possessions or obedience to a superior, in the form proper to the evangelical counsels. The religious life, undertaken by means of the vows, presupposes “a particular gift of God not given to everyone . . . a specific gift of the Holy Spirit.” We have received this vocation to strive for holiness by means that are “over and above” what is required of all the baptized. While it is true that the “perfection” of the vow lies in the practice of the virtues, the vows themselves commit us to very specific obligations that, taken together, give distinctive shape to our way of life. By chastity we oblige ourselves to perfect continence in celibacy; by poverty, to be dependent upon our religious institutes and to observe their laws about the use and disposition of goods; and by obedience, to submit our wills to our lawful superiors when they command in keeping with the constitutions. We freely choose to do this out of a desire to return love for love by making a total gift of self. We make a serious, public commitment, on the order of marriage, and the Church, by accepting our vows, consecrates us — sets us apart — as public witnesses to the transcendent value of belonging wholly to the Lord and seeking first the coming of his kingdom. In relation to our distinctive vocation, then, let us examine our consciences. Have we accepted one of the new “theologies” of religious life that empties the vows of their specific objects and obligations? Have we used our desire for “solidarity” with the laity to excuse ourselves from the asceticism that our life requires if we are to build up the Church by the prophetic witness of holiness? Have we become so “laid back,” “relaxed,” and immersed in the world shaped by TV and consumerism that we no longer constitute a sign for others, that is, that we are indistinguishable from generous lay persons whose good works are motivated by faith? Perfectae caritatis directed that the “manner of living, praying and working” of men and women religious should be suitably adapted not only to the modern physical and psychological circumstances of the members but also, as required by the nature of each institute, to the necessities of the apostolate, the demands of culture, and social and economic circumstances. This has been a tall order. The challenge to make adaptations required by our contemporary situation in ministry led us to consider critically the differences between an “apostolic” as compared to a “monastic” lifestyle. There were immediate and direct implications for religious whose identity as “semi-cloistered” prevented them from everyday interactions with the laity, but the choices we made in this regard have ultimately affected almost all of us. During the years of experimentation, we evaluated practices and patterns that were once assumed to characterize religious life (e.g., a set schedule or horarium, daily liturgical prayer and spiritual exercises in common, a distinctive habit, a local superior in every community). Some of us have abandoned these or made them optional, on the grounds that these elements were vestiges of a “monastic” lifestyle no longer required of or appropriate to apostolic religious. The increasing professionalization and “parochialization” of the ministries has, in fact, seemed to require much more flexibility with respect to certain of them (like the horarium, daily Mass in common, and the religious habit). But it is high time to assess the impact these adaptations have had on our own lives, on the witness we hope to give, and on our ability to attract new recruits. If an institute has abandoned practices the Holy See identifies as “essential” to religious life, for example, one must ask whether it should plan to reclaim that element, or whether it may now belong to some other category of consecrated life. One such “element” is the obligation of common life. This continues to be the subject of vigorous debate. Some favor re-defining “common life” in such a way that it may be understood to include religious who live alone for the sake of their ministry but come together regularly in small groups for mutual support; others want to insist that it entails actually living together under one roof on a daily basis and under the direction of a local superior. These debates are greatly complicated by the realities of ministry placement (e.g., the difficulties involved in arranging a corporate contract, finding ministries in the same locale, and securing housing). Some may urge that the institute’s apostolic goals should take priority over common life, which they regard as a “monastic” value. It is not clear how this tension should be resolved, and the resolution will differ from one institute to another, but these debates should not proceed without reference to the Holy See’s determination that common life belongs to the definition of religious life, including apostolic religious life — by contrast, for example, with secular institutes. Common life is prescribed not simply for reasons of convenience and economy, nor even for mutual support in ministry, but because it manifests our communion in Christ. By our consecration, we share the same traditions, spirituality, apostolic purpose, resources, and constitutions. Our sisterly or brotherly communion announces that persons who love God are able to love and sustain each other, accept one another’s gifts and limitations, share joys and sorrows — despite differences in age, race, language, nationality, culture, temperament, and ministerial competence. Because the asceticism of community life demands love, forgiveness, patience, and mutual self-giving, it contributes to growth in holiness. Vowed life, in fact, has serious practical consequences chiefly for those who live together. In an age of exaggerated individualism, community life is truly a prophetic sign. By living together, even at great cost, religious are able to bear striking witness to the Trinitarian mystery of self-emptying love. As regards our adaptation for the sake of mission, let us ask: Have we — out of necessity or by our own choice — abandoned elements that are, in fact, essential to religious life? Does our common residence function only as a “hotel”? Are we content to make “common life” optional, as a matter of practical necessity, or do we actively seek ways to live together? Are we willing to give it greater priority for the sake of attracting vocations? Given the “professionalization” of non-ordained ministries, is it possible to reclaim common life even if we want to do so? What factors within and outside of our control now militate against it? What might our bishops, vicars for religious, and pastors do to enable and support common life for apostolic religious? Apostolic religious have taken up this challenge with enthusiasm, eager to correct what was for some a rather exclusive preoccupation with the Church’s internal life and health, to the neglect of the justice issues of the times, such as racism. Our commitment to justice, peace, and the integrity of creation continues to have high priority in many apostolic institutes. When we discuss our priorities in mission we should not feel forced to make a choice between the commitment to social justice or the direct proclamation of the Gospel with the intention to convert individuals to Christ and bring them to sacramental life in the Catholic Church. These objectives belong together. Evangelization, in the broad sense given it by Paul VI, is not limited to the conversion of individuals to Christ; it must also touch and transform cultures. Having said this, however, Pope Paul insisted, “There is no true evangelization if the name, the teaching, the life, the promises, the kingdom and the mystery of Jesus of Nazareth, the Son of God are not proclaimed.” More recently, Pope John Paul II called for a “new evangelization” of nominal Christians, those among the baptized who live far from Christ and his Gospel. We have, in last spring’s report from the Pew Forum, evidence that many Catholics in the U.S. no longer have a sense of living faith. Several studies of young adults and reports from Catholic colleges confirm our suspicion that we may lose another generation to the faith. How shall we respond? Which of our founders entrusted to us the task of educating the Church’s children and youth? Have we stopped worrying about their eternal salvation? The proclamation of the kingdom must include handing on the Gospel message by word and example, in accord with the charism of our own founders. It involves introducing young people to Jesus Christ, calling for conversion of heart, and leading them to full participation in the Church’s life. It is puzzling and even a cause for embarrassment that two of our national leadership conferences, LCWR and CMSM, focus so resolutely on the world’s agenda and global issues and give so little attention to the urgent needs of the Church. Why do they seem to care more about the future of Earth than the future of the Church? If it is not a matter of “either-or” but of “both-and,” what accounts for their selective emphasis? My guess is that the answer is related to the influence, direct or indirect, of the fourth, unexpected challenge, namely, contemporary theological proposals about the nature of the Church. The fourth challenge has been the advent of unprecedented theological pluralism and public dissent within the Catholic Church. The period of adaptation and renewal coincided with a time of trial for the whole Church in which many religious mourned the departure of friends and colleagues, debated optional celibacy, protested against Humanae Vitae, engaged in a succession of liturgical “experiments,” and endured endless meetings. Some undertook civil disobedience on behalf of civil rights and in opposition to the Vietnam War, and applied the lessons learned to internal congregational and ecclesial issues, spurred on by the logic of liberation theology. Many women religious, caught up in the feminist movement, claimed the right to self-determination as regards the future of their own institutes; became advocates for lay ministry, and took the lead in the movement for women’s ordination. In 1983, when the revised Code of Canon Law was promulgated and the Holy See proclaimed that the period of “experimentation” had come to an end, many women and men religious had little or no interest in dialoguing with the bishops on how they measured up to the Essential Elements in the Church’s Teaching on Religious Life, a document prepared by the Holy See as an assessment tool. It was easy to move from protesting injustices in the social order to protesting what were alleged to be injustices in the Church: mandatory celibacy for the clergy, Pope Paul’s decision (against the majority opinion) in Humanae vitae; the formal disciplinary measures taken against theologians, like Hans Küng, Leonardo Boff, Charles Curran, and the priests and religious who signed the “abortion” ad in The New York Times; and disciplinary measures against various men and women religious involved in politics. By 1975, the reservation of priestly ordination to men was added to the list of “justice issues,” and since that time many Catholics continue to claim, on this account, that women are unfairly barred from “full participation” in the Church. The list of alleged “injustices” grew, and public protests continue to be forthcoming. Today, for example, the issues include claiming certain “rights” for divorced and remarried Catholics and persons with homosexual inclinations. The revelations of clerical sexual abuse and the painfully inadequate response of their bishops and major superiors served to confirm the suspicions of conservatives and liberals alike that the hierarchy cannot be trusted to have the good of the people at heart. Many apostolic religious, perhaps in response to these decisions and the bitter disappointments of the recent scandals, claim the “prophetic vocation” to denounce injustices in the Church. Some call for “structural change” in the Church. At first this was a way of insisting that women and married men ought to be eligible for ordination to the priesthood; ordination was seen as the route to “full participation.” Many today, however, no longer seek priestly ordination because they now envision the “reform” of the Church as its transformation into a “discipleship of equals” which has no place for the ministerial priesthood and apostolic hierarchy. Some leading feminist theologians publicly promote one or another version of this agenda, and their opinions have influenced the thinking and attitudes of many women religious. Some religious priests also lodge complaints against the hierarchy and even reject the Church’s teaching, reiterated at Vatican II, that the ministerial priesthood differs in kind (essentially) and not only in degree from the common priesthood of the faithful. Dissent on whether there is an “essential difference” between the ordained and the non-ordained touches on the sacramental structure and divine constitution of the Church. This inevitably raises the question of authority in the Church. Who has the right to teach and to make decisions in and for the Church — only the clergy? Should not everyone have a say in what touches everyone? Should not all members have a say about Church teaching and participate directly in decision-making? Have the bishops and the pope simply arrogated to themselves an authority or power over the rest of the baptized that Jesus never intended? Apostolic religious — theologians, publishers, social activists, major superiors — have been entertaining these critical questions, some as protagonists for change and others as protagonists for “fidelity to the magisterium.” These disputes have inevitably had an impact on the way we responded to the three challenges mentioned earlier, and have divided us from one another. Even those who want to stand fast in the “radical middle” inevitably feel the influence of these currents of thought. Apostolic religious in the second group are at odds in various degrees with the “institutional Church,” that is, with the clergy, and especially the bishops, including the Bishop of Rome. Some of them (“radicals”) reject hierarchical authority outright because they think it represents the triumph of patriarchy (“father-rule”) and is “contrary to the message of Jesus and antithetical to the reign of God.” Others (“liberals”) do not reject the hierarchy as such, but only certain of its doctrinal and disciplinary judgments or what they regard as its abusive manner of exercising authority. In either case, apostolic religious in this group claim to owe allegiance to the “People of God,” but envision this “People” as an unstructured community of believers, devoid of hierarchical authority. This “model of the Church” is incompatible with Catholic doctrine. Although radical feminism provides the ideological foundation for this critique, there are male as well as female religious who publicly espouse and promote these anti-hierarchical options. There are others who do not promote the critique directly but do so indirectly by turning a deaf ear to the magisterium’s teaching on religious life, moral questions, and matters of doctrine and liturgy. Some who embrace a “prophetic call” to inaugurate the “reform of church structures” assume the role of the “loyal opposition” vis-à-vis the hierarchy. Religious priests in clerical institutes, because they are ordained, have the capacity to develop “alternative” or “parallel” ways of “being church.” Some of them exercise considerable influence through their parishes, their preaching and teaching ministries, their retreat and sabbatical programs, and their sponsorship of seminaries, universities, journals, and publishing houses. What are the consequences, for apostolic religious, of adopting the “discipleship of equals” ecclesiology? First, with respect to our understanding of the vows as a distinctive element in religious life, it must be said forthrightly that those who reject the God-given authority of the hierarchy, for whatever theological reason, simply cut the ground out from under the vocation to “religious life” as the Church understands and regulates it. An anti-hierarchical ecclesiology provides absolutely no justification for professing public vows, in particular, for making a vow of obedience. At most, we could promise each other that we will seek God’s will, cooperate in carrying out the institute’s mission, and take responsibility for participating in community affairs. We have no reason to promise obedience to God unless we believe that the person who exercises authority does so in his name. If we accept the authority of the hierarchy we do have reason to do this because we understand that the authority the religious superior exercises “proceeds from the Spirit of the Lord” through the hierarchy, that is, because the Bishop or the Holy See “has granted canonical erection to the institute and authentically approved its specific mission.” We accept the authority of the hierarchy — its teaching authority and jurisdiction — because we believe that Jesus Christ entrusted his ministry to them. This is part of our faith in the Church as the unique mediator of salvation. This is what justifies our decision to imitate the saving obedience of Jesus by surrendering our wills to another whom we confidently believe mediates God’s will to us. With respect to adaptation for the needs of apostolic ministry, we might expect proponents of the “discipleship of equals” to advocate common life as a way of modeling the transformation of the Church they hope to bring about. In practice, however, it seems that the community they envision is based more on a doctrine of equal rights than on a response of self-emptying love. There is no need for a superior with personal authority in their model; it is sufficient to have a facilitator who will insure that everyone has the opportunity to participate and that nothing be imposed that is not supported by the consensus of the group. Dialoguing with the goal of reaching such a consensus is more likely to lead to independent living, communities chosen on the basis of compatibility, or simply “hotel living” than to the witness of common life envisioned by our founders. Apart from the desire to follow Christ even to the Cross, community members with diverse “mindsets” and even diverse “belief systems” will not be motivated to transcend their own interests in self-emptying love. As regards the “social justice” agenda, we have seen that it leads some to assume a “prophetic” vocation to eradicate alleged injustices in the Church. They justify this by appealing to moments in the history of the Church when apostolic religious brought about the doctrinal and moral reform of the hierarchy. They are on a collision course with the magisterium, however, if they regard the ministerial office instituted by Christ as itself “unjust”; or if they caution us against collaborating in the pastoral care of the faithful lest we shore up the “unjust” clerical system; or if they offer theological and pastoral “alternatives” to Catholics who dissent on matters of faith, morals, or discipline. Can advocates of Church “reform” who defy or ignore the magisterium be trusted to exercise an authentic “prophetic” ministry? Should those who invite apostolic religious to “leave the Church” in order to serve God’s cause more faithfully be given a platform in assemblies and institutions sponsored by religious orders? Why should we expect women and men religious who hold these views to be interested in the “new evangelization”? Apostolic religious did not expect to become caught up in this kind of controversy, but it has become unavoidable. Ideas have consequences, and the anti-hierarchical option — which is really “congregationalism,” a Reformation option — continues to be tolerated and seems to enjoy the approval and support of some women and men religious who serve in congregational leadership and in the leadership of two of our national conferences, LCWR and CMSM. Do not these leaders unwittingly perpetuate the divisions within their (and our) institutes? Are member institutes, or individuals within them, free to question the directions they have taken? Is a not-so-subtle attitude of resentment against the “institutional church” being perpetuated and passed on to new generations by the very bodies that are charged with coordinating our relationships with the Holy See? Are our institutes well served by these conferences? Is the Holy See well served? Is it time, perhaps, for a formal “visitation”? Perhaps the crisis of “followership” is just as problematic as the crisis of leadership. How can those religious institutes that once flourished and now flounder proceed with the necessary renewal if there exist among their numbers men and women religious who have freely adopted a “different ecclesiology” based on the feminist critique, some other anti-hierarchical ideology, or the “new cosmology”? How can a superior deal with what are really irreconcilable differences among community members, not only in their “ecclesiologies” but in their commitment to the Catholic faith as a whole? Once the issues have been framed in terms of power and rights, leaders may feel helpless, for in the absence of a voluntary self-surrender — the free gift of self each of us made at our profession — what recourse do they have? What responsibility do they have, however, to the congregation as a whole and to its future? What about the hierarchy? Have our bishops turned these issues over to vicars for religious who themselves favor the “prophetic” witness aimed at reforming the hierarchy? Bishops may fear that confronting leaders of women and men religious will “only make things worse.” But can it actually get worse? Have they no interest in the spiritual well-being of religious who find themselves exiles in their own institutes? Have our bishops washed their hands of us? Are they content to extend the annual collection for the support of retired religious and move on to other matters? We do not expect or want our bishops to tell us what to do, but they need to be part of the solution, especially for religious institutes of diocesan right. What “treasure” do women and men living the apostolic religious life want to reclaim? What has been lost and what do we long for? Let me offer some reflections as a starting point for today’s symposium. What is the “treasure”? In the first place, the treasure is our covenant relationship with Jesus Christ who has chosen us and whom we have chosen in return; no one can take this treasure from us. In the great winnowing of the past forty years, each of us has found some way to live our consecration in intimate communion with him — whatever distress we might experience in trying to live it out in our religious institutes or in the Church. We would not be here today if we had not. With St. Paul, we know that we bear this treasure — “the light of the knowledge of the glory of God in the face of Christ” — in earthen vessels “to show that the transcendent power belongs to God and not to us” (2 Cor 4:6-7). In response to the dichotomy often proposed today, I would add: Nor can we claim to love “the People of God” and at the same time reject the “institutional church,” those consecrated and sent by Christ to teach, sanctify, and govern that people. This dichotomy, too, depends on a distortion of Catholic doctrine and the application of a norm extrinsic to our faith, a secular conception of “equal rights” that has no inkling of the desire for self-sacrifice that love alone inspires. The Church cannot be reduced to a sociological entity and then reinvented according to our intuition about what best expresses “equality.” The Church is a gift from God in Christ, an internally-differentiated priestly community. It cannot be our “prophetic” vocation as apostolic religious to repudiate the ministerial priesthood and the hierarchical structure of the Church! This does not mean there is no place for “fraternal correction,” for we may indeed call one another to a more faithful living out of the Gospel. We may lament the failures of our brothers in the hierarchy, who like us are “earthen vessels,” but we cannot reject the Church as a hierarchically-structured community that mediates Christ’s salvation. We must expect the Church’s pastors, in turn, to call us to fulfill our vocation — our public, ecclesial vocation, in fact, the “prophetic” vocation entrusted to us by our founders. There was one more challenge the Council put to apostolic religious, namely, the challenge to spiritual renewal according to the Gospel, the legacy or charism of the founder(s), and the authentic traditions of each institute. We may have taken this up years ago, but perhaps the only way to reclaim the treasure now is to return to that task with fresh vigor and determination. If we want to regain the moral authority once enjoyed by apostolic religious, if we long for that “full participation” in the Church’s life which is identical with holiness, the perfection of charity, let us “start afresh from Christ” and from the charism of our founders, free of “politically correct” considerations. Why did our founders request canonical status? What is the ideal that attracted us to this institute? How faithfully are we expressing it? What is it our institute continues to offer the Church today? Let us study, along with our founding stories and documents, the many exhortations addressed to apostolic religious by the Holy See — from Perfectae caritatis to the most recent instruction on Authority and Obedience. Let us really study them, and use them for individual and communal self-examination. Are we still willing? Do we still desire to profess the poverty, chastity, and obedience of Jesus Christ “freely, willingly, and purely for the love of God”? Shall we help each other to do this? The “treasure” many of us would like to reclaim, perhaps, is the possibility of living the religious life fully, in peace, according to the charism of our communities, in communion with the hierarchy and collaboration with the laity, that is, according to the ecclesiology of communion, “one in heart and soul” with the Church. Beyond that, the “treasure” might be the confidence that our consecration makes a difference; that we belong to Christ and to his Church in and through the mediation of our religious institute, and that our charism and mission are valued by others in the Church — laity and hierarchy — as a gift of the Holy Spirit. 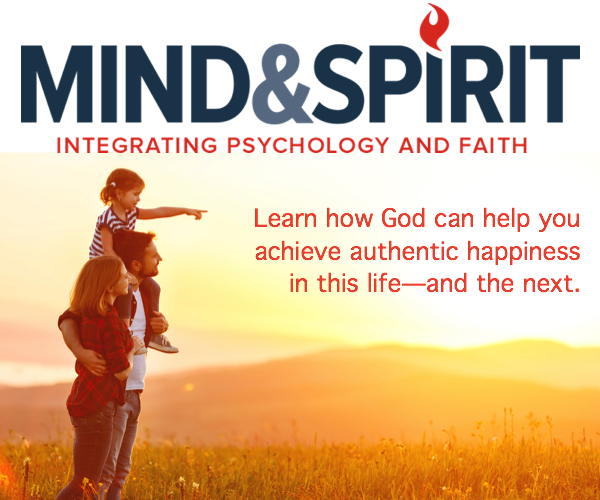 We would like to get beyond the stress of being suspicious and being under suspicion, and enter into a realm where we are recognized as a resource, where we are needed and wanted, where we can make a corporate impact through ministerial service that is coordinated with or supplements diocesan plans. Those of us who choose to remain, and who embrace the obligation to live the religious life as the Holy See defines it, long for the rebirth of relationships in which our place in the Church is clear and unambiguous, and in which we can ask of one another the witness of holiness according to the nature, purpose, and spirit of our institutes. We desire to develop apostolic initiatives that will allow us to live and work together so that our efforts will build up the Church, give striking witness to her mission, and attract vocations so that our charism will continue to be a gift to the Church. Let us keep our eyes on the “treasure.” Let us renew our willingness to “sell everything” to possess it.